Martin (Marty) Weiss was born on January 28, 1929 in Polana, Czechoslovakia to Jacob and Golda Weiss. Jacob was a subsistence farmer and a meat distributor, and Golda managed their orthodox Jewish household and raised their nine children. Czechoslovakia had become an independent democracy after World War I, and the Weiss family were proud citizens of the newly-formed nation. In 1939, Nazi Germany occupied Czechoslovakia and divided the country into sections of Nazi control and Hungarian control. Marty’s home town was put under Hungarian control, but was still subjected to many of Hitler’s Nuremberg Laws. Jews lost their equal rights as Czech citizens, and Jewish children were no longer allowed to attend public schools or universities. Thousands of Jewish men, including Marty’s two brothers, were conscripted into slave labor battalions and sent to the Russian front. Although most Jewish businesses were confiscated, Jacob Weiss managed to retain his business license and continued to earn money by illegally butchering their animals at night and selling the meat on the black market. Between 1940 and 1944, eyewitness accounts of mass killings in Poland and Ukraine made their way to Polana. In April 1944, hundreds of thousands of Hungarian Jews, including the Weisses, were arrested and deported to the Munkacs Ghetto. They were forced to perform slave labor in a brick factory moving bricks by hand from one side of the factory to the other. 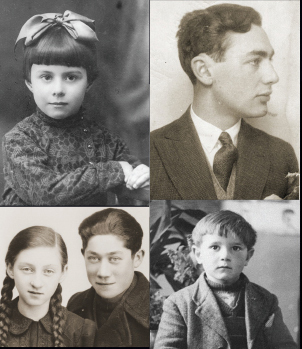 Over a two-month period beginning in May 1944, nearly 440,000 Jews were deported from Hungary to Auschwitz-Birkenau, including Marty and his family. Marty, his brother Moshe, his sister Cilia, their father Jacob, and two uncles were selected for slave labor. The rest of their family was killed upon arrival. 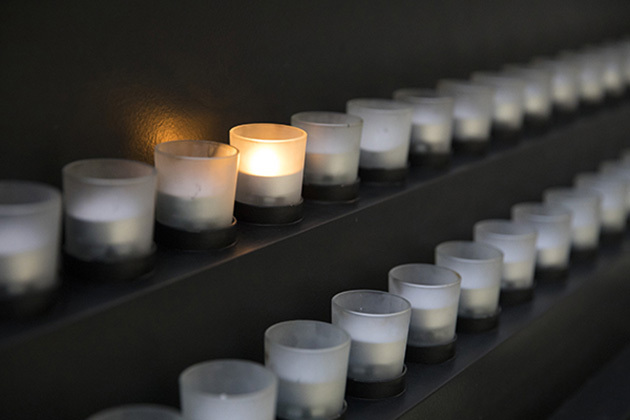 After a brief stay at Auschwitz-Birkenau, Marty and his father, Jacob, were transported to Melk, a subcamp of the Mauthausen concentration camp in Austria. In Melk, the prisoners were forced to carve tunnels into the sides of mountains; Marty’s father died from exhaustion and starvation. As the Allies advanced into Germany in the spring of 1945, Marty and other inmates went on a forced march to Gunskirchen, another sub-camp of Mauthausen, from where he was liberated by the United States Army on May 5th, 1945. After liberation, Marty returned to Czechoslovakia. There he reunited with his older sister, Cilia, who was liberated by the British at Bergen-Belsen in April 1945 and his oldest brother, Mendl, who had survived the war in a Hungarian labor battalion. After their liberation, Cilia and her husband, Fred, located their sister Ellen who had immigrated to the United States in 1939. Ellen arranged visas for Marty, Cilia, Mendl, and Fred, and they arrived in New York in July 1946. Marty served in the United States Army during the Korean War before entering the grocery business in 1955. In 1957 he married Joan Merlis. They have two children. Marty and Joan moved to Bethesda, MD in 1995, and Marty has been volunteering at the United States Holocaust Memorial Museum since 1998.